If you read my post yesterday, you know that I questioned if God is going to give us one last chance to turn from our sinful ways, repent, and embrace Him. I found myself wondering if the brief glimpses of some of our political leaders' honesty and forthrightness regarding the evilness of humanity that is found in ISIS, could be the starting point of hope for this nation. Oh, how I want to believe that we honor and revere Him enough to see through the lies and deception that permeates our culture! And then the Enemy throws his intentional and false depravity square in our faces! And it's all right there for the entire nation to see; couched in the emotional and fictional lives of a popular TV show -- yet cleverly portrayed using a storyline right out of our national headlines. It happened two nights ago, on an episode of the ABC show, Scandal. The character was the mistress of the U.S. Republican President, and she was depicted undergoing an abortion as the religious hymn "Silent Night" washes over the scene. The outright blasphemy that was on display made me sick to my stomach. But just in case you didn't get the message, the woman on the table recalls the words of her father telling her that a family is merely "a pressure point, soft tissue, an illness, an antidote to greatness.... it makes you weak, pliable... family doesn't complete you; it destroys you." Then the choir swells to its apex, and sings "Heavenly hosts sing, 'Alleluia' ", as the character exhales, the abortion complete, and she stares serenely at the ceiling, with a hint of a smile on her face. She is later shown sipping a glass of red wine as "Ave Maria" plays in the background. Oh, and let's not forget what preceded the depiction of the abortion. In true TV fashion, just prior to entering the operating room, the producer has the character watching television coverage of First Lady and U.S. Senator Mellie Grant, who launched "the longest filibuster in modern history" to kill a bill reducing Planned Parenthood funding. The impassioned speech, on the eve of the Christmas recess, made Grant - a Republican senator from Virginia - a feminist hero and inspired the hashtag "I Stand with Mellie." The sad thing is that there are millions of people across this country who will pay more attention to the actions of these TV characters than they do legitimate legislators! I am so disgusted with the arrogance and irreverence of Hollywood, and the fact that they think they speak for the rest of us! But I guess it should come as no surprise, since the creator, producer, and head writer of the show, Shonda Rhimes, serves on the board of Planned Parenthood Los Angeles, according to Time magazine. Therefore, I guess PP felt emboldened to make this statement immediately following the airing of the episode: "Tonight, the millions of people who tune into Scandal every Thursday night learned that our rights to reproductive health care are under attack. Never one to shy away from critical issues, Shonda Rhimes used her platform to tell the world that if Planned Parenthood lost funding for contraception counseling, STI testing, cancer screenings, and safe, legal abortion — millions of people would suffer. 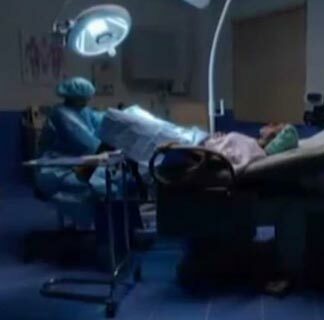 And this episode wasn’t the first time one of Rhimes’ characters had an abortion, yet tonight we saw one of our favorite characters make the deeply personal decision that one in three women have made in their lifetime. We applaud Shonda Rhimes tonight — and every Thursday night – for proving that when women are telling our stories, the world will pause and watch. We just hope those in Congress — and throughout the nation — who are steadfast on rolling the clock back on reproductive health care access are taking note." Maybe it IS a woman telling that story, but producer and creator Shonda Rhimes does not represent me, nor is she telling my story or the millions of stories of women like me. We do not see fetuses as "soft tissue", nor do we think "family destroys you." But sadly, her ability to pluck at the heartstrings of women who choose to base their moral principles upon prime-time soap opera fantasies will persuade more of my fellow females than I would like to admit. And even sadder is the idea that the website Life Site puts forward: This abortion-themed episode airs as the real Republican-controlled Congress seeks to deny Planned Parenthood most of its taxpayer funding for one year after undercover videos showed abortion industry officials discussing the harvesting and sale of aborted babies' organs and tissue. The reconciliation bill must pass the U.S. Senate, currently bogged down in debate over the Syrian refugee crisis. I find it incredibly tragic that this carefully crafted TV piece of propaganda will likely have more influence in the coming days than the sickening real-life videos of gleeful procurers of dead baby body parts. I'm sorry to be so crass, but I can no longer stomach the lies from those who will stop at nothing, nor stoop so low, to justify their wicked ways. I guess the final blow for me was what happened in the abortion facility's waiting room as the character contemplated her upcoming abortion. You could hear the TV announcer breaking away from the coverage of the Congressional filibuster of Planned Parenthood funding, and saying, "We now return to 'It's a Wonderful Life,' already in progress." It was as if to say, let's get this abortion over with, so your wonderful life that is in progress can continue. When the truth of the matter is this: in It's A Wonderful Life, the main character, George Bailey, is allowed to see just how worse off the world would have been had he not been born. The movie shows us that each life is precious and touches so many others. Yet, again, the truth is distorted and twisted into a lie that benefits Satan's agenda. Shonda Rhimes might be a talented TV writer, creator, and a successful producer, but one day she is going to have to stand before the Divine Creator and explain why she used her talents to glorify death over life... why she chose to write a scene having a choir sing a song that glorifies heavenly angels announcing the birth of the long-awaited Savior of the world, while a precious life He created is ceremoniously destroyed. So let the media and the feminists applaud this TV show and it's writer/creator. Let them call this blasphemous display "awesome" and "no-big-deal" and "revolutionary" and "honest". I see it through the eyes and heart and spirit of someone who loves the Lord and abhors their callousness and desecration of His Holiness. My heart breaks for the pain we cause Him. Job 33:4 "The Spirit of God has made me, and the breath of the Almighty gives me life." The glorification of abortion....just one of the reasons this nation is under God's judgment.